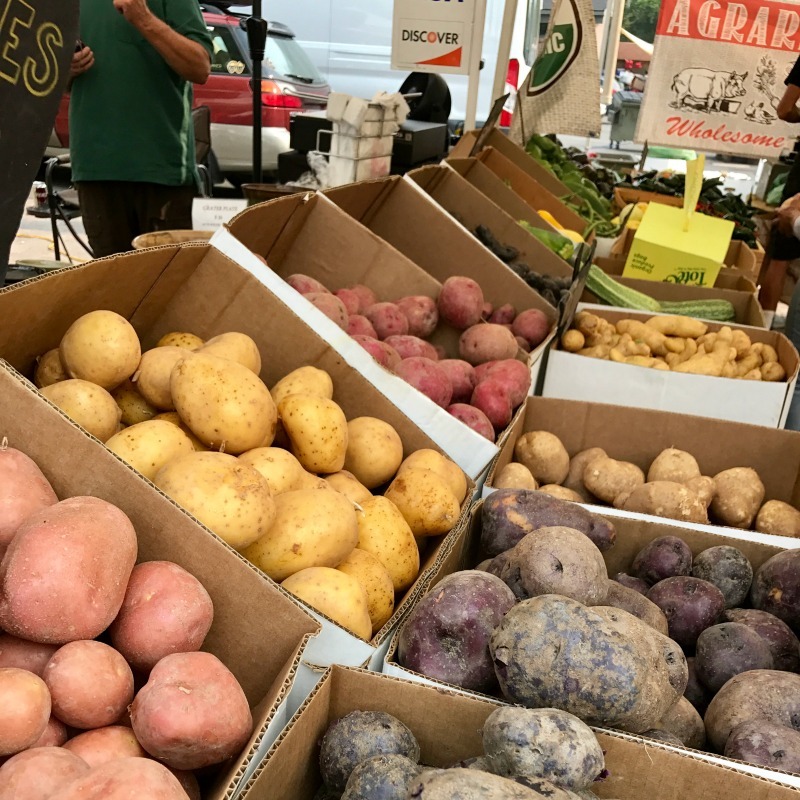 Through our newsletters, social media and online resources, LFA works to promote local food and the local businesses that grow, prepare and sell it. Our monthly newsletters are filled with news and resources from the front lines of the local food movement - seasonal recipes, fun food events, restaurant news, and lots more. We help keep the community informed about local food happenings. 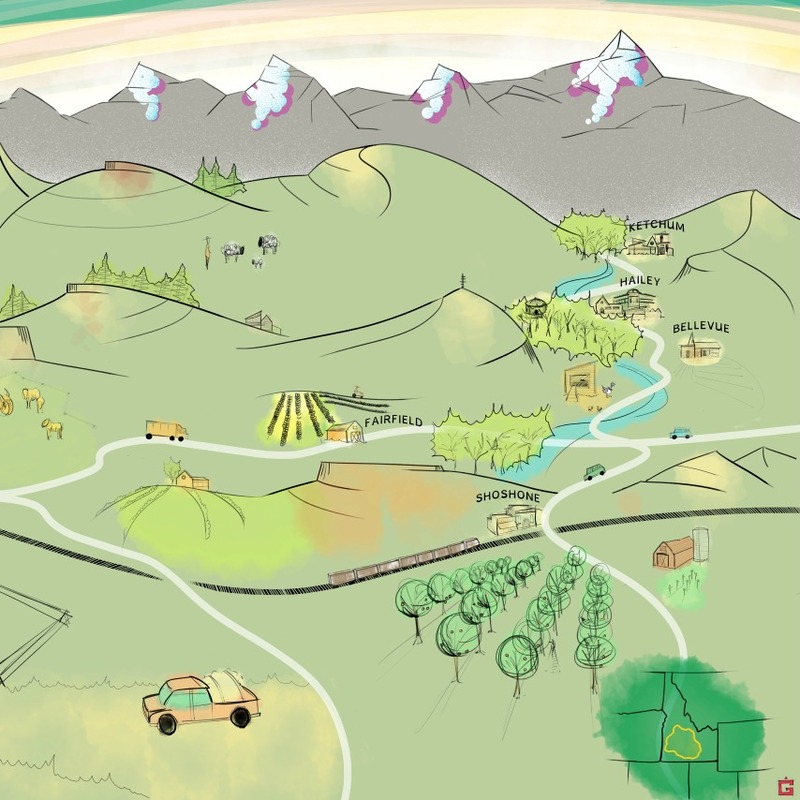 LFA's Fresh Food Guide links Wood River Valley residents and visitors to fresh local food, the farmers who grow it, and the markets and restaurants committed to using locally grown products. From gardening and cooking classes to food films and farm to table dinners, our online calendar connects the public to the many local food events happening in our valley. Through this digital tool, LFA aims to increase access to local food, increase attendance at community-based food events, and boost community engagement around local food. Local Food Heroes is an educational project that features farmers, chefs, advocates, and everyday people making positive change in our community food system. We want everyone to know who grows, prepares, delivers, serves, eats, and rescues our food. By highlighting people and organizations making a difference, we help connect people to our valley's growing food community and inspire citizens of all ages to take part in creating a healthy and resilient food future. LFA uses multiple social media platforms - including Facebook and Instagram - to alert the community to where to purchase and enjoy locally grown food as well as opportunities to get involved in our local food movement. 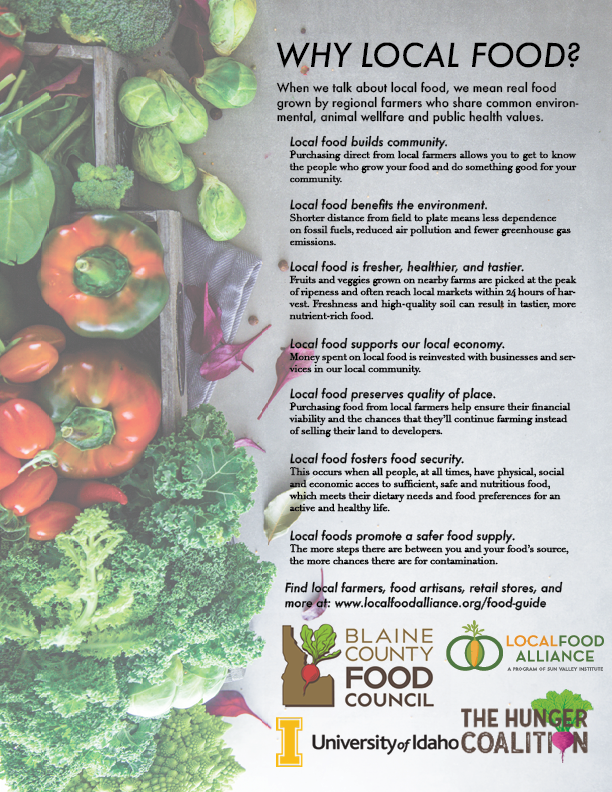 A graphic we created to showcase the benefits of a local food system.